This 2007 Porsche C4S Cabriolet with a GT Silver Metallic exterior and a Cocoa Brown full leather interior has only 15987 miles on the odometer. 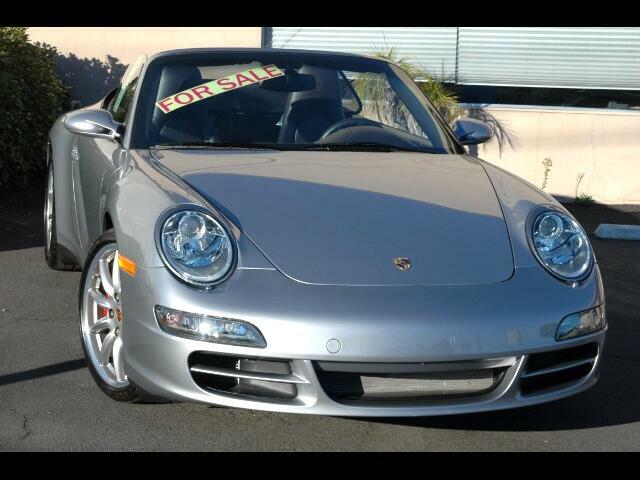 It is a one owner California Porsche that has been meticulously cared for and garaged its entire life. It has just received an oil service and all servicing is up to date. Our very extensive pre-purchase inspection report is available upon request. Visit Hi Tec Automotive online at www.hitecauto.com to see more pictures of this vehicle or call us at 415-258-9619 today to schedule your test drive. Message: Thought you might be interested in this 2007 Porsche 911.